We offer a variety of massage services involving multiple modalities designed to target your specific needs. stress, tension, and anxiety. Give your body the well needed rest it deserves. Along with relieving stress, this service also increases circulation and metabolic activity. 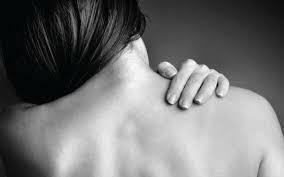 Our therapeutic massage helps relieve pain, reduce stress, and work on a specific problem. Several different techniques can be used to help eliminate the tension. Due to our Hydraulic Massage Table, we can provide pregancy massages with ease and comfort. This table offers 3 adjustable positions so you and your baby can be as comfortable as possible. We use the appropriate positions and techniqes to put less stress on your baby so we can increase relief on you. Massage is safe and effective during all trimesters as long as the pregnancy is not high risk. present in any muscle group. Aromatherapy massage is the use of essential oils to promote healing and a feeling of well-being and relaxation. Some of the benefits include reducing swelling around joints, help relieve muscle spasms and reduce nervous tension and stress related issues. Can also help with anxiety and insomnia. ​Add Aromatherapy to any massage for $5! Enrich your body with a hot stone massage. Not only do they enhance relaxation, but they also release muscle tention much easier than a regular deep tissue massage. We recommend 90 minutes to receive the full benefit of this service. This therapy uses silicone cups to create suction on the body surface. These cups are moved over the skin using gliding, shaking, popping and rotating techniques. Suction reaches deep into the soft tissues. A benefit of this service is pulling toxins from the body to the surface of the skin. An incredible way to bring relief to your tired feet and legs, this foot treatment is excellent for relief of aches and pains.